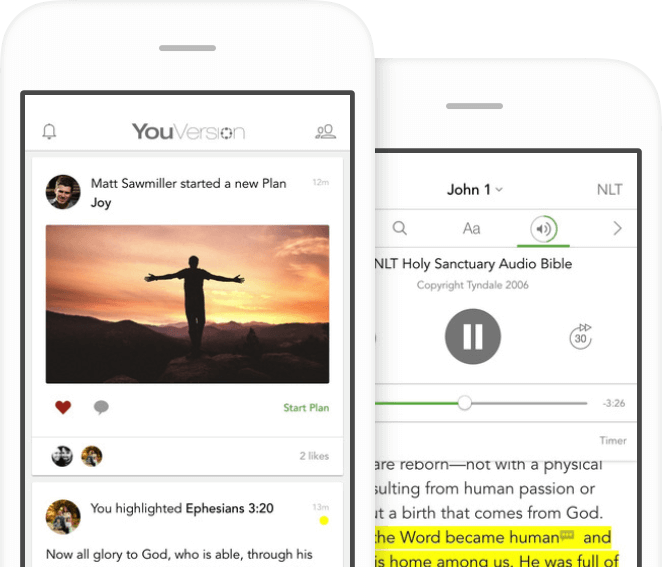 The most popular Bible app on the AppStore today, YouVersion allows users to study individually or join millions of others via social networks. The app features 80+ translations, 100+ reading plans as well as audio for English translations, login via Twitter/Facebook, social functions, online and offline modes, night mode, bookmarks, notes, and other great features. Master of Code proudly supports and develops new features for the app. At the moment, the application has over 250 million downloads, and this number keeps growing.